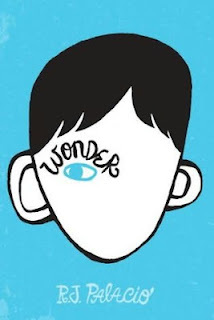 How can I ensure that everyone reads R.J. Palacio's amazing Wonder? It brings to mind the Marian Wright Edelman quote, "Service is the rent we pay for living on this planet." 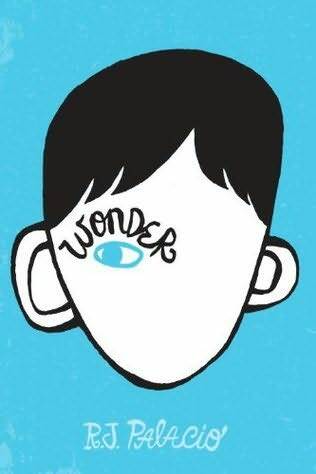 I want Wonder to be required reading for everyone, it's that good. Auggie was born with facial anomalies and has spent most of his childhood getting surgeries which kept him out of school. At ten, his parents believe he is finally ready to go to a classroom and meet his peers. Since he describes himself by saying, "I won't describe what I look like. Whatever you're thinking, it's probably worse," everyone knows that his transition into the daily life of a typical adolescent won't be easy. As a teacher who sees the way that middle school students can teach each other, I wanted to wrap Auggie up and protect him. I could relate to how his parents and older sister Via felt when they took him out in public. Auggie is an incredible character, sweet and hopeful, and above all, courageous. In the annotations section of her website, Palacio writes, "I wasn't born with what he has, and I don't know anyone who was. In that way Auggie is unlike anyone I've ever known. And yet in just about every other way he's like every other child in the world. So while I can't know what it's really like to walk in Auggie's shoes, I can try and put myself in his situation, and that of his sister and his parents and his friends. I've always loved the underdogs of the world. And I've always admired those who can pull themselves up by their bootstraps and march on. I love Auggie's pluck most of all." So do I.
I love books that are written from multiple perspectives, so I was thrilled when the narrative switched from Auggie to Via, to several classmates and friends of Via's, always shifting back to Auggie. There's so much to learn from this book, about what it means to be a good person, about bravery, and most of all, about kindness. Please read Wonder and then pass it on to everyone you know.